Share with your friends and find out what they expect the answer to be. 3- But I hate U. 4- Mujhe kab se intizar tha. 5- I love U 2. 6- Thank God tum ne kaha. 7- I like U & love U. 8- Shakal dekhi hay apni! 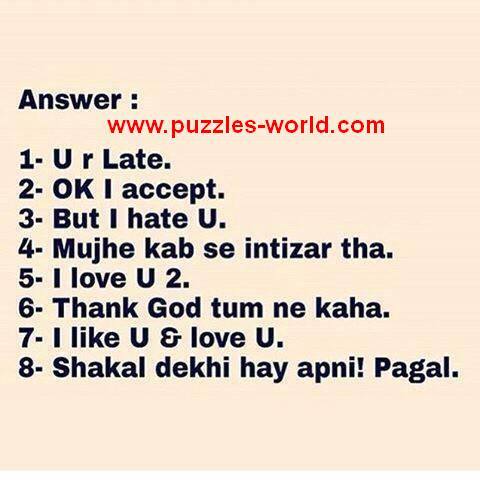 Pagal.